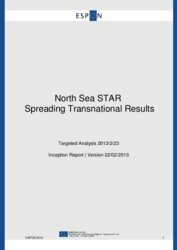 The North Sea Region (NSR) faces the same energy challenges as the rest of Europe and transnational cooperation is being used to share knowledge and develop regional responses with the ultimate aim of developing regional energy self-sufficiency. 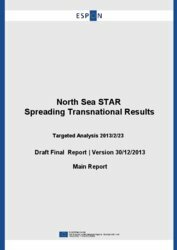 This project aims to assess North Sea Region project results with a view to developing the most effective regional energy responses possible in future operations. 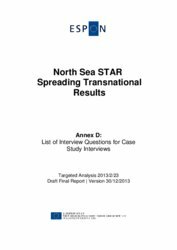 The analysis focuses on the role that territorial cooperation can play in such developments and at how new models for clustered project implementation might influence this process and promote effective multi-level governance. 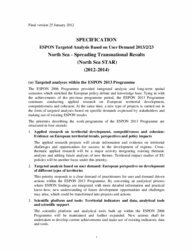 The combination of practitioner experience and the localisation of potentials and challenges based on existing ESPON results will provide input for decisions on future actions and programme strategies in the NSR, and should also be transferable to many other programmes and themes. Furthermore, with regards to governance the project should answer the key question of how the clustering approach can help to stimulate regional co-operation in order to provide input to policy making on how to accelerate the take-up of renewable energy technologies and supporting relevant green economic activities in the region. 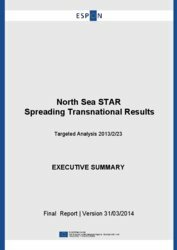 Please read more about the main areas of analysis and main results envisaged. The project will provide support for decision-making on strategic issues. 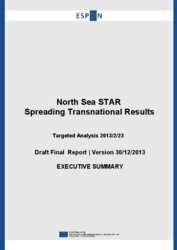 This includes the national and regional representatives who will be responsible for setting the terms of any future programme, the European authorities responsible for defining the programme framework, as well as the regional and local actors. The recommendations are expected to indicate the most effective ways of delivering policy and as such offer a bridge between policy-makers and practitioners. The results of the analysis will serve as guidance for regional energy policy development and delivery in the North Sea Region. The process brings together players who do not often all meet around the same table and should provide inspiration on wider collaborative approaches to project development and management in future programming. 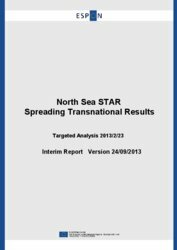 Energy will form the focus of the analysis, aiming at an up-to-date and reliable picture of the current status and trends in the North Sea energy picture also in a wider European context. A baseline policy scenario is assumed based on the target that all North Sea countries should be fossil-free by 2050. The question for the thematic analysis is to assess the best path to this goal from the existing situation and taking account of the realistic potentials. 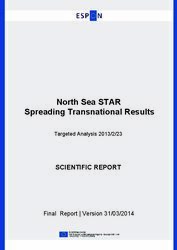 This should include a comparison with other European regions and the actions being taken there. Energy self-sufficiency, building on and further develop the project findings from major ESPON studies related to energy with specific relevance for the NSR. 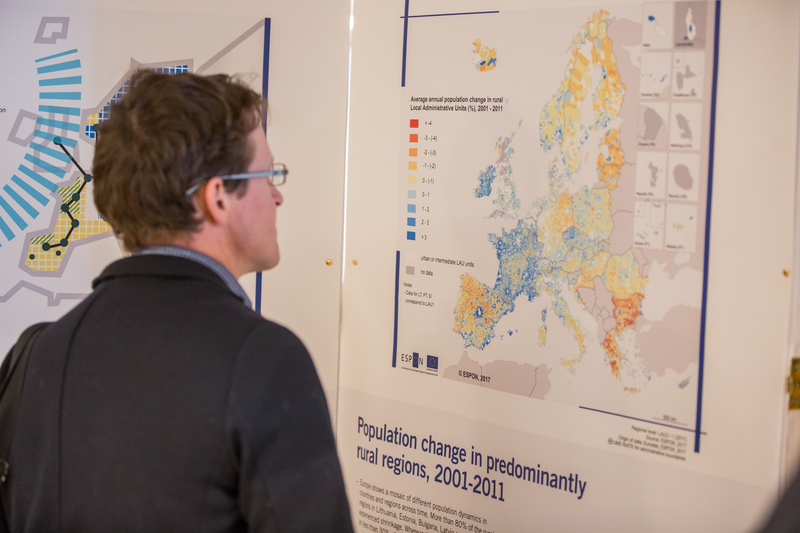 Project clustering and governance processes; aiming at assessing how cooperation affects policy in regions and whether the extended knowledge base available in a cluster also extends project influence on practices in individual regions. Future Programming; taking into account the current debate on the future of Cohesion Policy and the questions about the relative merits of ‘top-down’ and ‘bottom-up’ approaches to programming and project development. 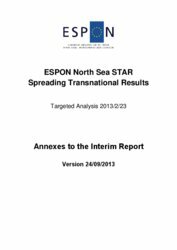 Baseline study and mapping of current energy situation in NSR drawing on ESPON results. Regional energy planning and policy recommendations. 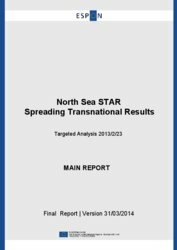 Assessment of tools and methods used by clusters to generate awareness of results, the value of results, take-up in other regions and at national and European level. 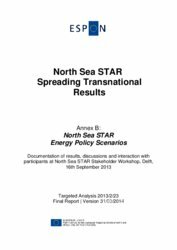 Provide deeper understanding of the NSR, the most likely future energy scenarios and the potential role of projects and clusters.